Australian Powered Paragliders of Sydney Australia. Australian distributor for BlackHawk U.S.A.
BlackHawk PPG & WPPG equipment is considered one of the best, in the market place, we look forward to hearing from you when you are ready to purchase or need further advice on selecting equipment ! When it comes to purchasing equipment, you First need to know your "Total Flight Weight", then you can select the correct size Powered Paraglider Wing. A pilot should fly as close to the Wings maximum recommended weight, this is largely for safety reasons (see Training), Wings have been tested way past there Flight weight recommendations. Please Note: We do NOT Train Pilots to Fly ! 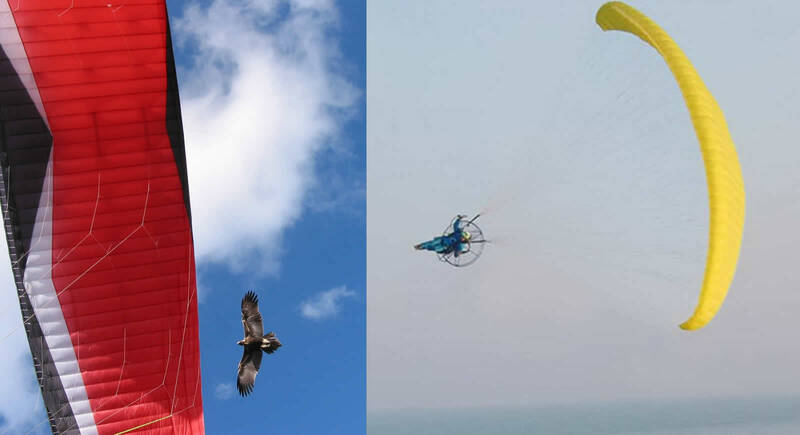 We sell Powered Paragliding (PPG) & Wheeled Powered Paragliding (WPPG) Equipment. Flight Training is a specialist field undertaken by Chief Flight Instructors (CFI) or Flight Schools that engage CFI's to Train pilots. So, if you have landed here and looking for Flight Training, we have some information on the Training link, just follow the trainers links. NB: Standard package deal accessory's are included with each Package Deal. * A full Package Deal Orders are linked to the AU$ exchange rate at time of payment. Below video is what BlackHawk Product Quality is all about !